Lentils are a popular legume in Europe, Asia, and the Middle East. They are high in fiber and protein and low in fat. Lentils are used for soups, salads, and entrees. Lentil and spinach soup combines healthy lentils with the leafy green spinach, but any leaf green will do or you can use a combination of greens. A one cup serving of Lentil and Spinach Soup has 195 calories, 115 mg of sodium, 14 grams of fiber, 12 grams of protein and no saturated fat. Compared to a sugary protein bar, Lentil and Spinach soup is a super food. 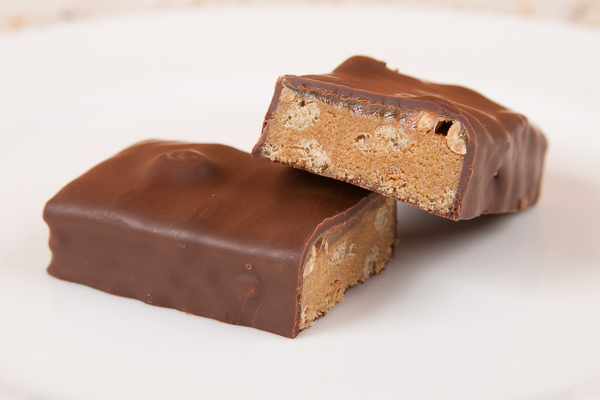 The protein bar is convenient, but not the healthiest way to obtain protein or calories. Calorie per calorie, 1 cup of Lentil & Spinach soup comes out the winner providing 40 percent more protein and 20 percent less calories. 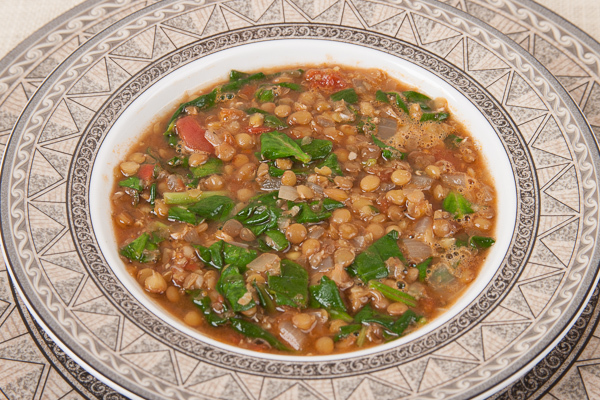 Lentil and Spinach soup also provides 4 times the fiber, and has no added sugar. Whether you are trying to lose weight or maintain your weight, the choice is obvious; real food always comes out the winner over highly processed foods. Diced fresh tomatoes can be substituted for canned tomatoes. Add 1/2 cup (120 ml) of water or broth if necessary. In a 4 qt./l or larger pan, heat oil over medium heat. Add onion and garlic and cook, stirring often, about 5 minutes or until onion is soft. If garlic begins to burn before the onion is cooked, add during the last 1 or 2 minutes. Add lentils, broth, water, tomatoes, rosemary, salt and peppers. Bring to a boil, reduce heat to low and simmer 30 to 40 minutes or until lentils are soft. Stir in spinach and simmer about 5 minutes or until wilted. Serve.